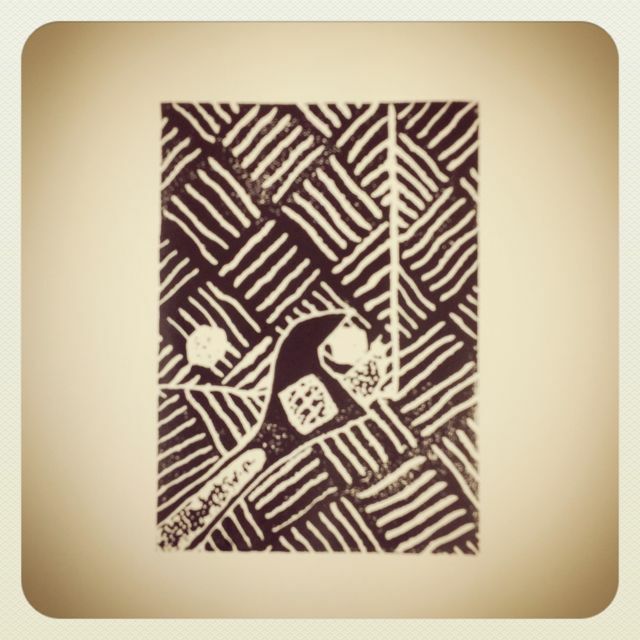 I just thought I'd share with you the print that I made in today's Wednesday art workshop at Culture at Work. The classes are on each week at 10.30 am, and cover a range of techniques and subjects. (Visit the website to find out more.) 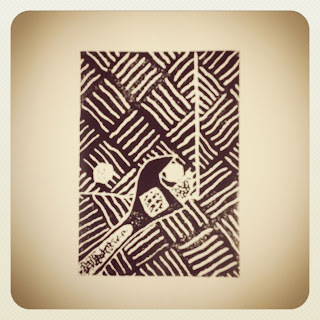 This week's class was printmaking using foam sheets. I drew the image freehand, based on a photograph that was in today's newspaper. I liked the industrial feel of the steel plates, bolts and spanner because it sits well with a new project I am working on, a series of craft projects in the steampunk style. Steampunk is a combination of vintage nostalgia and futuristic vision, a way to celebrate the past while we move into an uncertain future. If you'd like to find out more about Steampunk Style, please visit my other blog.